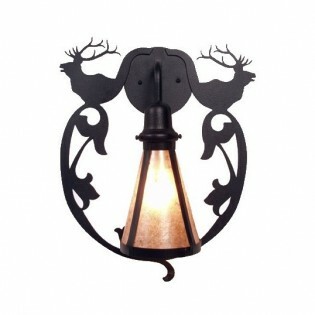 Bavarian Elk Sconce. This rustic elk sconce adds an old world twist to rustic lighting. The graceful lines are accented with just a touch of nature by incorporating two elk head silhouettes.